The Cowboy Birder: Holyfield Lake Ferruginous Duck - Wild or Plastic? 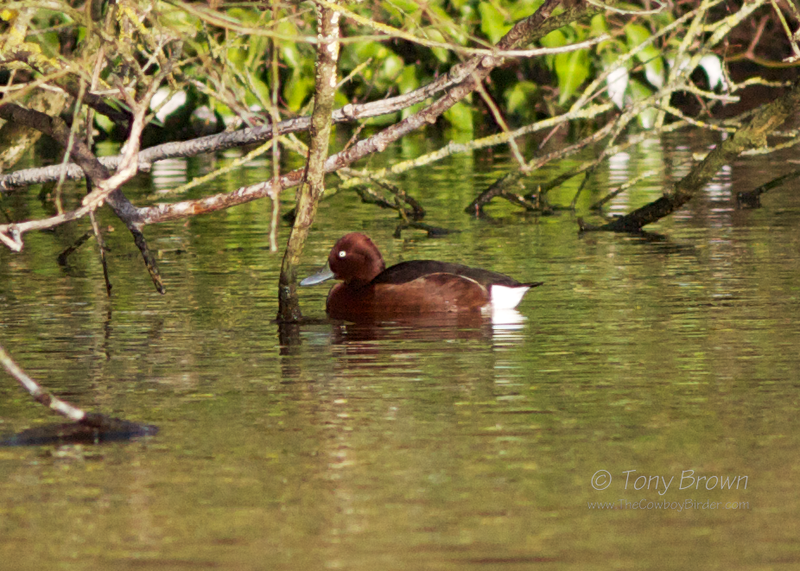 Holyfield Lake Ferruginous Duck - Wild or Plastic? 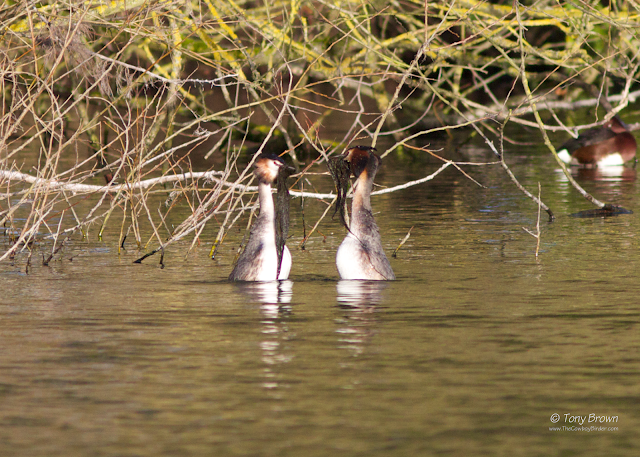 I had the choice between standing in a sterile Wanstead woodland in search of an elusive Lesser Spotted Woodpecker or going to look at a plastic duck - The plastic duck won! And I'm glad I chose the latter as the drake Ferruginous Duck at Holyfield Lake looked really smart in the early morning winter light. Whenever a Ferruginous Ducks shows up, there's aways a question mark over the birds origins but this bird could actually be the real deal. It was certainly behaving like a wild bird (keeping its distance and acting skittish in and around the lake edge vegetation) and it's also un-ringed which should rule it out from being part of the German reintroduction scheme or an escape from a local collection, and Holyfield Lake is also a good location with lots of wintering wildfowl. Despite these good points in favour of the bird being wild - we'll never know for sure, but as Ferruginous Ducks go, this is probably as good as it gets now days in terms of the possibility of it actually being a genuine vagrant and was well worth the short drive up the Lee Valley to see it. Whilst the Fudge Duck slept on, a pair of Great Crested Grebes put on a wonderful courtship display of their famous 'weed dance' and was a nice distraction while I waited for duck to actually do something.